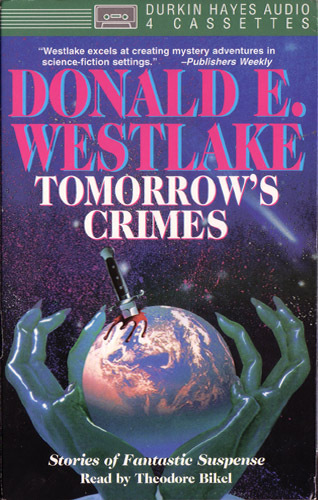 DONALD E. WESTLAKE (1933 – 2008) An American Adventure Mystery, Crime, Noir, Science Fiction, Fantasy and author of more than 100 novels. 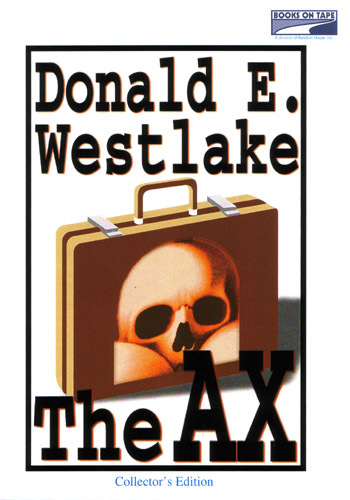 He was also a named Grand Master of the Mystery Writers of America. 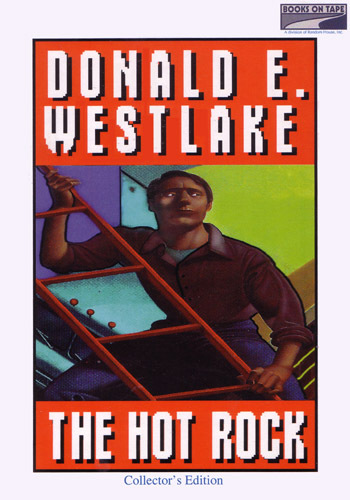 Westlake was best known as the creator of the “Dortmunder” and “Parker” novels (both of which are about thieves). books died on New Year’s Eve 2008. He was just 75. 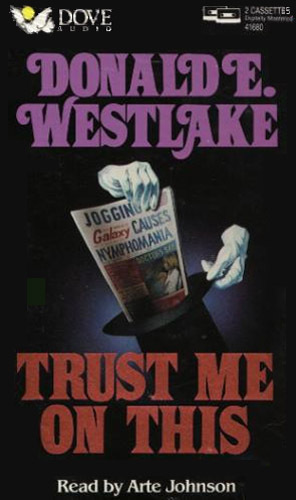 Having written more than a book a year since the 1960 he used many pseudonyms throughout his career. 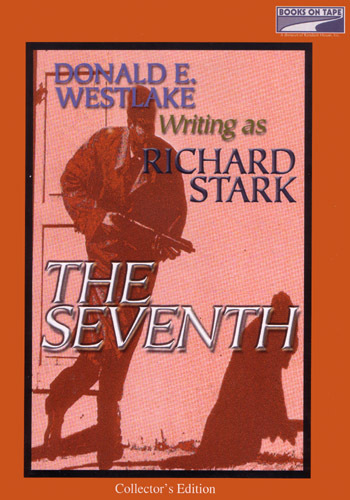 Among them were: Richard Stark, Tucker Coe, Samuel Holt, Edwin West, John B. Allan, Judson Jack Carmichael, Curt Clark, Timothy J. Culver, J. Morgan Cunningham, Alan Marshall, and Alan Marsh. 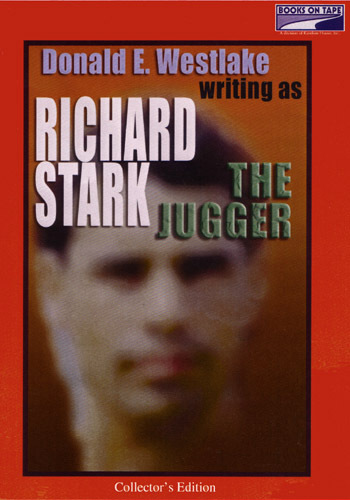 His screenplay of the novel The Grifters by Jim Thompson was nominated for an Oscar. 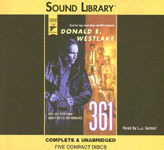 Most of Westlake’s recent work and nearly all of his novels written under the “Richard Stark” label are available as audiobooks. 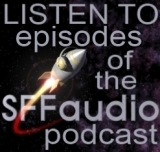 In space, you still need insurance investigators. And anywhere there’s people, there’s fraud, theft, and murder. 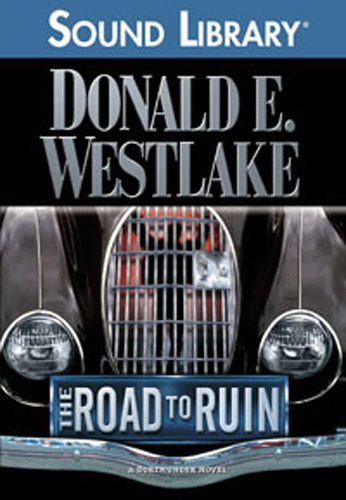 Donald E. Westlake is famous for his mysteries and thrillers. In this 1961 story, he shows us a future that’s got a little sense of wonder and a lot of human nature. 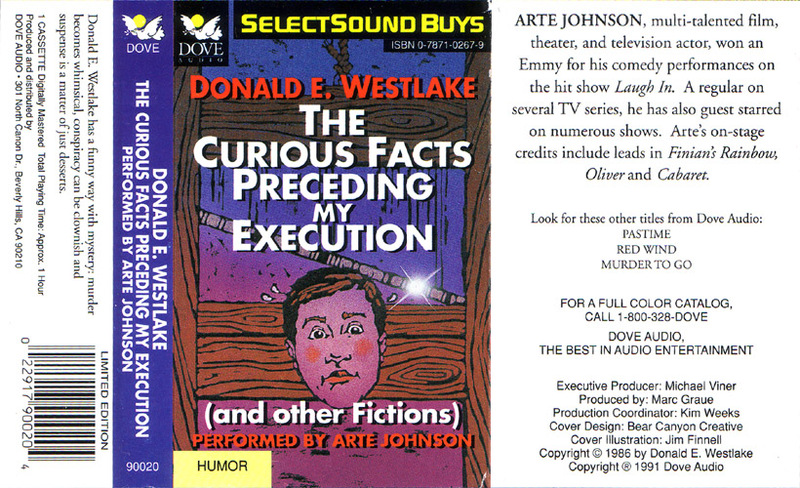 The Curious Facts Preceding My Execution was first published in the September 1960 issue of Alfred Hitchcock’s Mystery Magazine (with attribution to Richard Stark). Just The Lady We’re Looking For was first published in Ellery Queen’s Mystery Magazine – September 1964 issue. Devilishly Original published in the August 1966 issue of Signature, The Diner’s Club Magazine. Good Night, Good Night was first published in the December 1960 issue of Alfred Hitchcock’s Mystery Magazine. All you need to know about this great collection of the best mystery stories from the past century are the names of the great authors inside: Robert Bernard, Robert Bloch, Lawrence Block, Anthony Boucher, Frederic Brown, James M. Cain, Max Allan Collins, Jeffery Deaver, Stanley Ellin, Harlan Ellison, Erle Stanley Gardner, Ed Gorman, Anna Katharine Green, Jeremiah Healy, Patricia Highsmith, Reginald Hill, Tony Hillerman, Evan Hunter, Stephen King, John Lutz, John D. MacDonald, Ross MacDonald, Michael Malone, Steve Martini, Sharyn McCrumb, Margaret Millar, Marcia Muller, Sara Paretsky, Bill Pronzini, Ellery Queen, Ruth Rendell, Lisa Scottoline, Georges Simenon, Mickey Spillane, Rex Stout, Janwillem van de Wetering, Donald E. Westlake. See? One or more of those names rang a bell, signaling that you must read this book. The men in the tan-and-cream Chrysler came with guns blazing. When Ray Kelly woke up in the hospital, it was a month later, he was missing an eye, and his father was dead. Then things started to get bad. 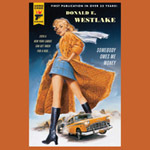 From the mind of the incomparable Donald E. Westlake comes a devastating story of betrayal and revenge, an exploration of the limits of family loyalty and how far a man will go when everything he loves is taken from him. 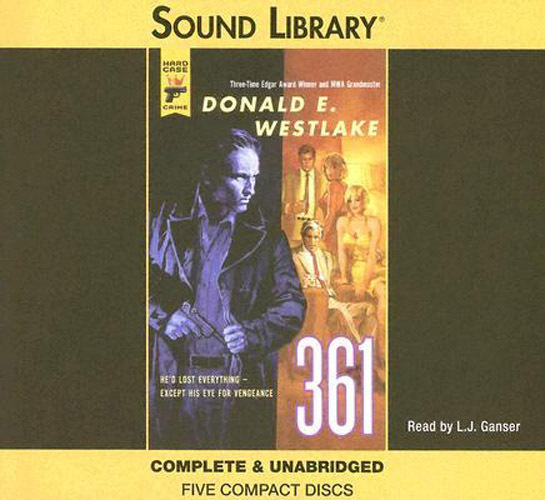 An audio collection of short Fantasy and Science Fiction works as written by Westlake (under his Curt Clark pseudonym). Includes Anarchaos (*this work is abridged) a novel set on a planet in which there is anarchy for a government. Any thief knows he can’t get fingered for a burglary if no one sees him. So you’d think Freddie Noon, small time crook, would jump for joy after he inadvertently breaks into tobacco-industry research lab, swallows an experimental serum and becomes completely invisible. It’s a thief’s fantasy come true… or is it? There is no such thing as a free lunch – but it takes Josh Redmont a while to figure that out. The first check arrived when Josh was 27 – $1,000, issued by “United States Agent” through an unnamed bank with an indeterminate address in Washington, D.C. The checks continued to arrive once a month, even when Josh changed addresses, with nary an explanation or a peep from the IRS. 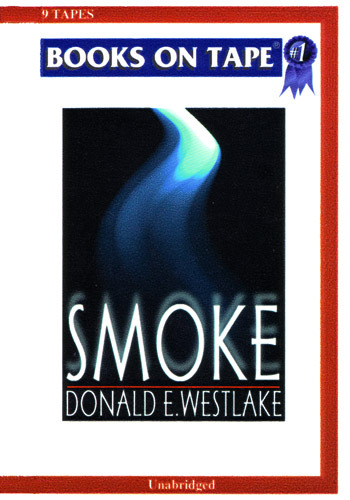 Seven years later, as he hastens to meet his family for a summer vacation, Josh is approached by a smiling stranger who greets him with “I am from United States Agent.” Dumbstruck, Josh feigns ignorance until he hears the words, “You are now active.” Westlake fans will revel in his trademark swift pacing, meaty secondary characters, and tongue in cheek. When two hitmen come calling on Canarsie bartender Charlie Poole, he is forced to stand up for himself, and leave Brooklyn, for the first time in his life. What would it take to lure a serious young newswoman from a respectable New England paper to the most notorious supermarket tabloid in America? How about the promise of a salary that’s triple what she’s making? En route to her new job at the Weekly Galaxy, Sara Joslyn stumbles across a bloody corpse in a Buick Riviera. A big story? Not in this paper: Sara finds herself scheming with three drunken Australians over the problem of the 100-year-old twins and hunting down a TV mega-star in this honeymoon haven! And through it all there remain the problem of the corpse in the Buick. What would it take to lure a serious young newswoman from a respectable New England paper to the most notorious supermarket tabloid in America? The call of journalistic adventure? How about a promise of a salary that’s triple what she’s making? En route to her new job at the Weekly Galaxy, Sara Joslyn stumbles across a bloody corpse in a Buick Riviera. A big story? Not at this paper. The problem is compounded when the dead man vanishes, Buick and all. When John Dortmunder sets out to rob a bank, he really means it. He steals the whole thing. 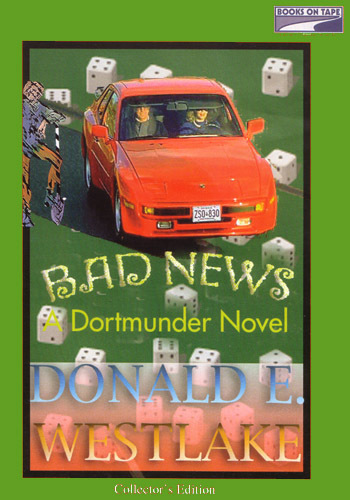 With the help of his usual crew, as well as a sophomoric ex-FBI man and a militant safecracker, Dortmunder puts a set of wheels under a trailer that just happens to be the temporary site of the Capitalists’ & Immigrants’ Trust Corp. 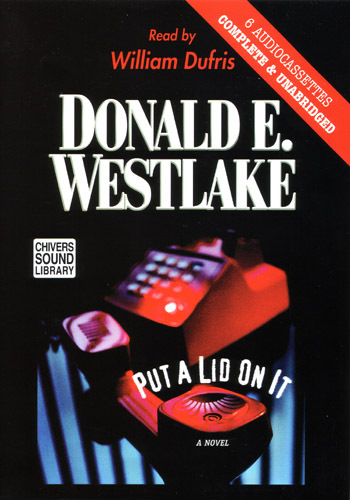 When the safe won’t open and the cops close in, Dortmunder realizes he’s got to find a place — somewhere in suburban Long Island — to hide a bank. 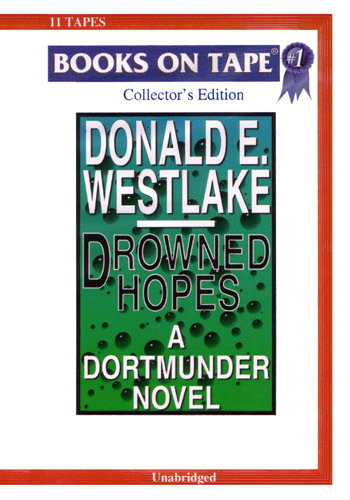 Dortmunder should have never listened to his cohort, Andy Kelp, who says he’s got a fail-safe plan to pull off the perfect kidnapping. It’s all laid out in a crime novel, claims Kelp. Dortmunder has his doubts. He’s right. Kelp takes poetic license. 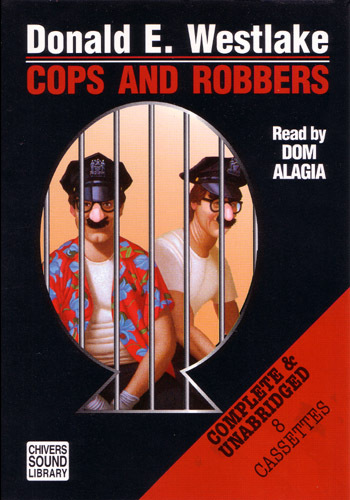 What’s not in the book are the suffocating Mikey Mouse masks, the getaway car that won’t fit in the truck, the ransom demand that’s bumbled over the phone and especially not a precocious victim named Jimmy. 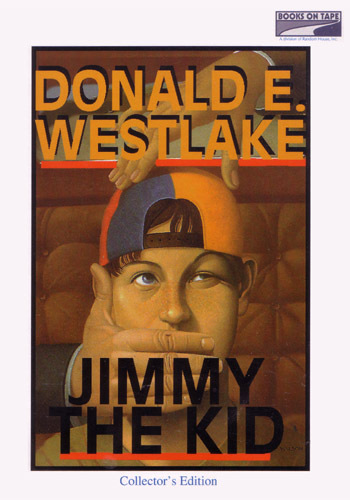 When the plot thickens and the FBI closes in, the book goes out the window, along with little Jimmy and the loot. So much for happy endings. John Dortmunder’s one of the slyest burglars going. But by God, he has bad luck! While fleeing the police during his latest caper, he falls through the roof of the Silent Sisterhood of St. Filumena — and tumbles into the lap of trouble. It’s an act of God, the sisters exclaim. Only the Creator himself could have sent this criminal just when they need him. Sure, they’ll shelter him from the cops. But there’s a price: He must help them to retrieve their youngest and newest member from her father’s clutches. This promises to get sticky. Dear old dad hates the Sisterhood like the plague. And he happens to have an odd hobby: putting together mercenary armies. Why can’t Dortmunder just catch a break? John Dortmunder strikes it unlucky again when he gets a visit from an old cellmate, Tom Jimson. During Jimson’s long stretch in the pen, the state of New York decided to turn a certain valley near Albany into a reservoir and it just so happens that the loot from Tom’s last bank job was buried in that valley. 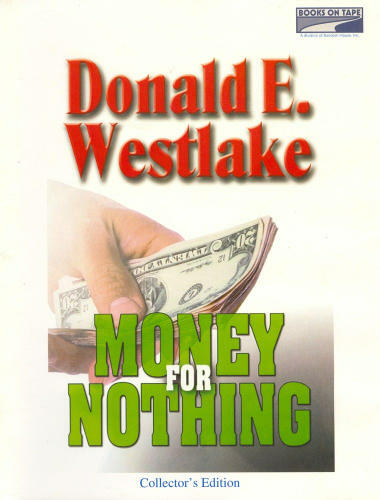 Now the cash is under fifty feet of water and Dortmunder has to find a way to retrieve it – or else Tom will dynamite the reservoir damn and flood the countryside. One botched attempt follows another, and Jimson’s blasting finger is getting mighty itchy, Will Dortmunder muddle through? It started with a family good-luck charm, a cheap ring made of brass ‘n’ glass. And God knows, Dortmunder can use a little good luck. So he puts it to the test when he goes to burglarize Long Island billionaire Max Fairbanks — who greets him, shotgun in hand. Things turn unluckier still when Fairbanks convinces the police that Dortmunder’s ring is actually his. Bad move. Now Fairbanks has a wronged burglar on his hands who’ll stop at nothing to reclaim what’s his — and even what’s not his. When he slips the cops, Dortmunder is on a single-minded quest to get Fairbanks and clean him out. In this hilarious novel, the world’s most determined thief is hot on the trail of good fortune, misfortune, and the ultimate revenge. This time out John Dortmunder and his merry band of crooks return to the scene of the crime world in an attempt to steal a fleet of automobiles that would leave the Sultan of Brunei blushing. The mark is Monroe Hall, corrupt CEO of a now defunct conglomerate, who spent more of his company’s money on himself than the boys at Enron and WorldCom combined. Having escaped prosecution, Hall is holed up on his massive Pennsylvania farm and Dortmunder, as usual, has his eyes on the big prize: Hall’s vintage wheels. 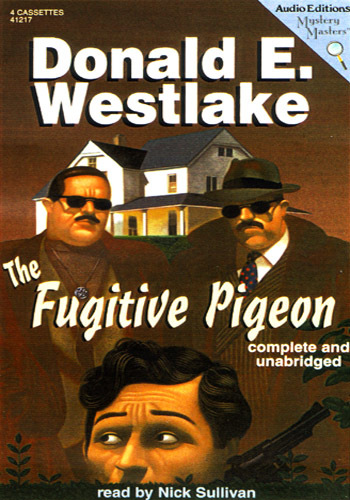 All it takes is a few underhanded moves by a tough ex-cop named Eppick to pull thief John Dortmunder into a game he never wanted to play. 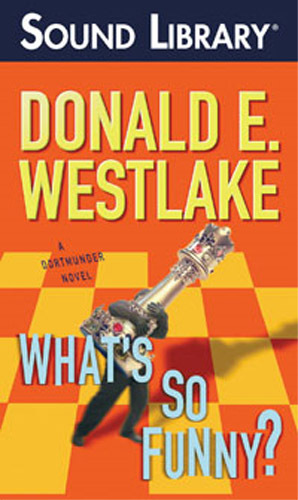 With no choice, he musters his always-game gang and they set out on a perilous treasure hunt for a long-lost gold and jewel-studded chess set once intended as a birthday gift for the last Romanov czar, which unfortunately reached Russia after that party was over. From the moment Dortmunder reaches for his first pawn, he faces insurmountable odds. The purloined past of this precious set is destined to confound any strategy he finds on the board. Success is not inevitable with John Dortmunder leading the attack, but he’s nothing if not persistent, and some gambit or other might just stumble into a winning move. Eluding the law has always been high on Dortmunder’s list. 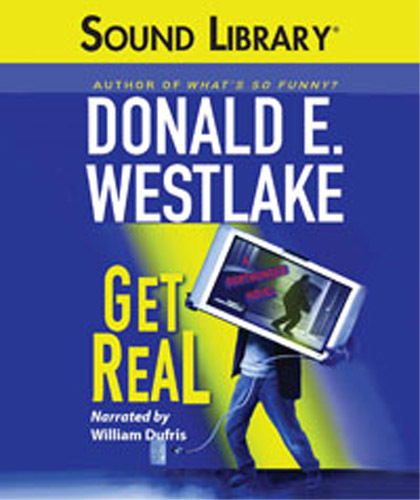 But getting caught red-handed is inevitable in his next caper, when a TV producer convinces this thief and his merry gang to star in a reality show that captures their next score. The producer even guarantees to keep the show from being used as evidence against them. They’re dubious at first, but the pay’s good, so they sign on. A mock-up of the OJ bar is built in a downtown New York City warehouse. As the gang plans their next move with the cameras rolling, Dortmunder and Kelp sneak onto the roof of their new studio to organize a private enterprise. It will take an ingenious plan to outwit viewers glued to their television sets, but Dortmunder is nothing if not persistent, and he’s determined to end this shoot with money in his pockets. 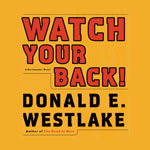 First published as a paperbook in 1962 but later under the titles Point Blank and Payback. First published as a paperbook in 1963 but later under the title The Steel Hit. First published as a paperbook in 1963. First published as a paperbook in 1963. Set in Washington, DC and Florida. 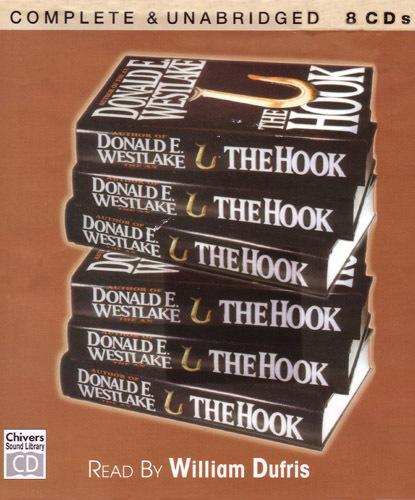 First published as a paperbook in 1964 and later under the title Killtown. Set in a small town named Copper Canyon in North Dakota. First published as a paperbook in 1965. 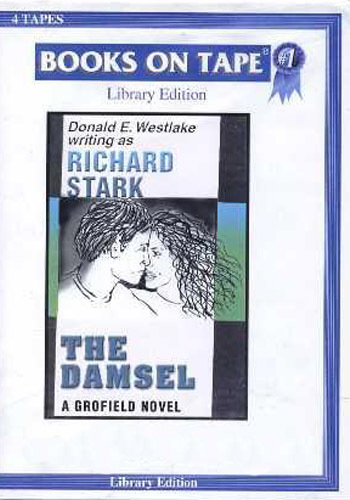 First published as a paperbook in 1966 and later under the title The Split. 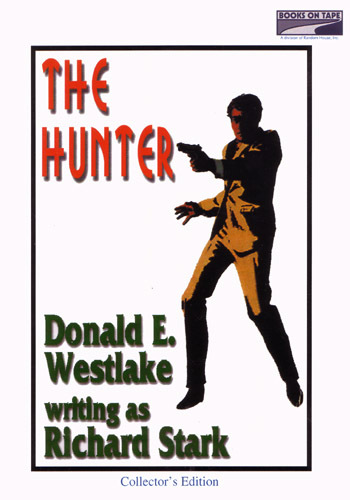 First published as a paperbook in 1966 and later under the title Run Lethal. 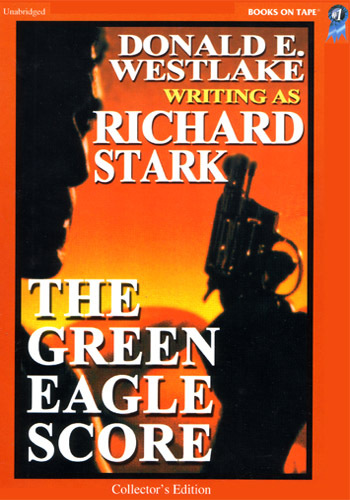 Set in Texas, and on an island off the coast of Texas in Cuban territorial waters. First published as a paperbook in 1967. Set in Indianapolis, Indiana. First published as a paperbook in 1967. Set on and near a U.S. Air Force Base. First published in paperbook in 1968. Set in New York, NY. Three guys wearing black suits and holding guns were giving Parker a lesson in economics. All about the haves and the have-nots. The good guys in a new African nation were missing a treasury full of diamonds. They were the have-nots. The nation’s corrupt leader had stashed the rocks somewhere in New York City. He and his henchmen were the haves. Now the good guys needed a specialist to get their diamonds back. So they came to the best in the business: Parker. Only the three mysterious tough guys came to Parker, too. They figured three hands filled with .38s could convince him to pass up this international gem game. But leaning on Parker was like pressuring a box of TNT with a short fuse. First published in paperbook in 1969. First published in paperbook in 1971. 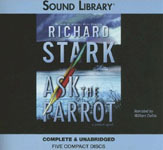 Plunder Squad (Book 15 in the Parker series) – Not available as an audiobook. First published in paperbook in 1974. 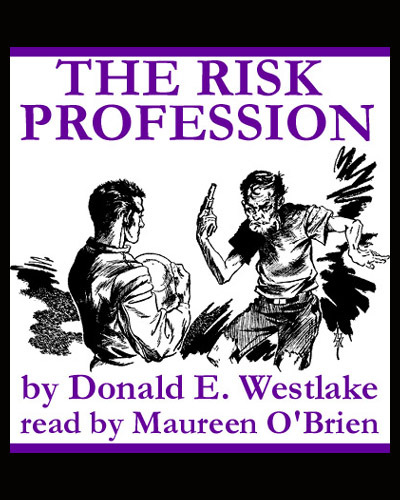 In a Midwestern city, Parker calmly tosses a firebomb through a plate-glass window, while some newfound partners in crime take down a nearby bank. 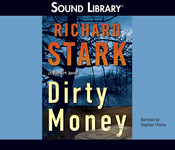 Making their getaway in the confusion, the bank robbers tell him two things: that this heist was only seed money for a much gaudier one, and that Parker has to loan them his share of the take. 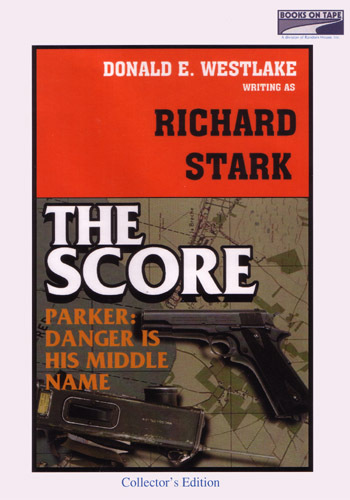 Now Parker is rampaging through the American South, taking on a new identity as he goes, and planning his own assault on his former partners’ next target, a spectacular jewelry heist in Palm Beach. But Parker didn’t count on one unfortunate detail. A very bad and very stupid man knows his true identity, and wants him dead. For Parker, the amoral super-thief extraordinaire, it will be an excellent haul. The fact that the lead came from his old partners in crime, Elkins and Wiss, is no impediment to his joining their team and going for the score. The goods are a bunch of paintings by Old Masters kept out of sight in a dot-com billionaire’s Montana lodge for his personal delight. The billionaire, Paxton Marino, has plenty of built-in high-tech security, so they’ve got their own systems geek, Lloyd, to defeat the electronic safeguards. 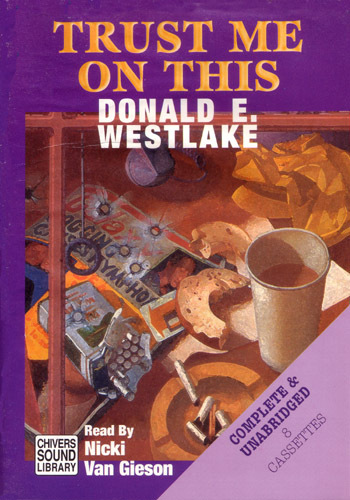 Naturally, in a Parker novel, no heist goes off without a hitch, and a federal agent investigating Marino’s original art thefts gets involved, but that’s the least of Parker’s problems. As usual, betrayal and revenge are the order of the day. 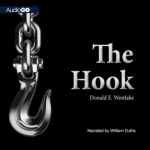 Breakout (Book 21 in the Parker series) – Not available as an audiobook. Nobody Runs Forever (Book 22 in the Parker series) – Not available as an audiobook. Racing through the backwoods of Massachusetts and on the verge of being taken down for one of the biggest and most disastrous bank heists the state has ever seen, Parker runs right into the barrel of a gun pointed from the wrong side of the law. 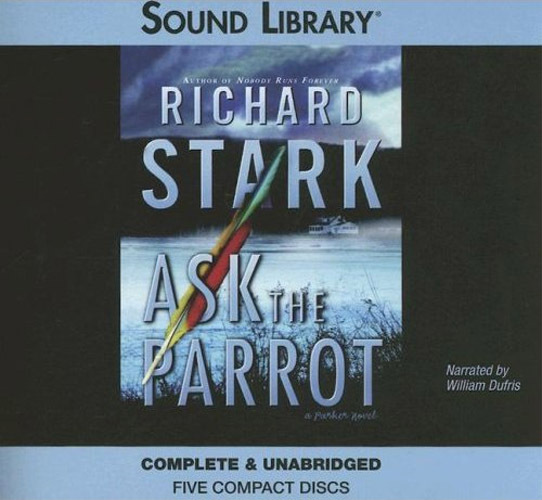 A quiet and angry recluse with only a silent parrot for company in his seclusion, Tom Lindahl saves Parker from the police dogs, but enmeshes him in yet another in a long line of dubious, highly dangerous, but seriously profitable jobs. Far more than some aimless indigent, holed up in a shack in the woods, Lindahl is a man built on rage and driven by a thirst for revenge. 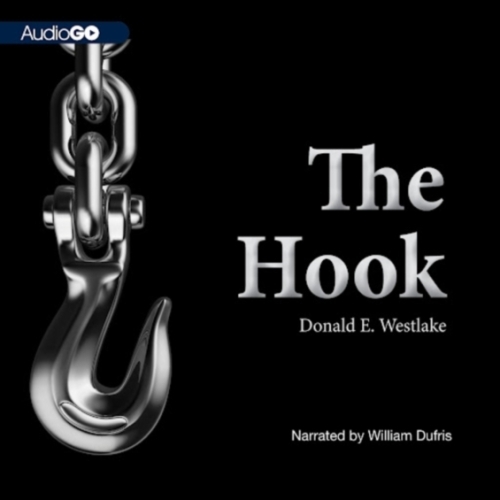 A whistleblower whom nobody heard, a man tossed aside by a corrupt political establishment, Lindahl plans to rob them of their lucre and needs Parker’s help. 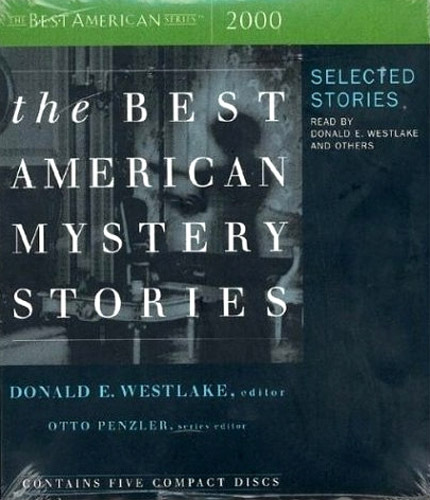 Mystery writers of America grand master Donald E. Westlake presents his selections for the best mystery writing of 2000. 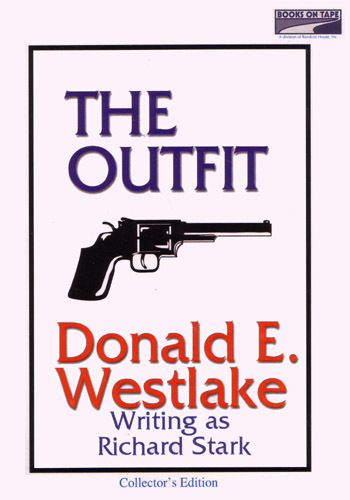 The introduction is written and read by Donald E. Westlake. You probably haven’t noticed them. But they’ve noticed you. They notice everything. That’s their job. Sitting quietly in a nondescript car outside a bank making note of the tellers’ work habits. Lagging a few car lengths behind the Brinks truck on its daily rounds. Surreptitiously jiggling the handle of an unmarked service door at the racetrack. They’re heisters. They’re pros, and Parker is far and away the best of them. 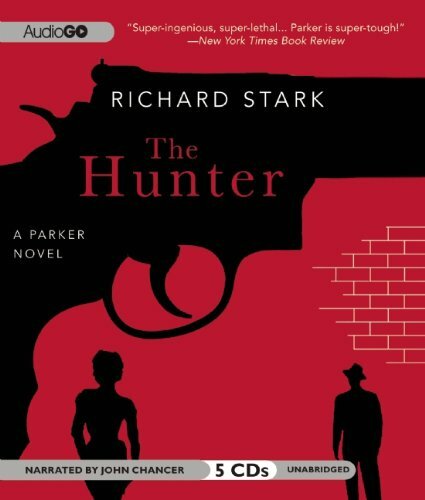 In The Hunter, the first volume in the series, Parker roars into New York City, seeking revenge on the woman who betrayed him and on the man who took his money, stealing and scamming his way to redemption. 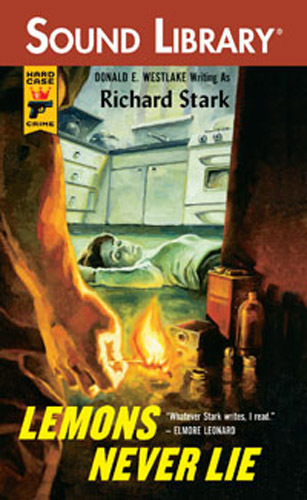 Parker, the ruthless antihero of Richard Stark’s eponymous mystery novels, is one of the most unforgettable characters in hardboiled noir. 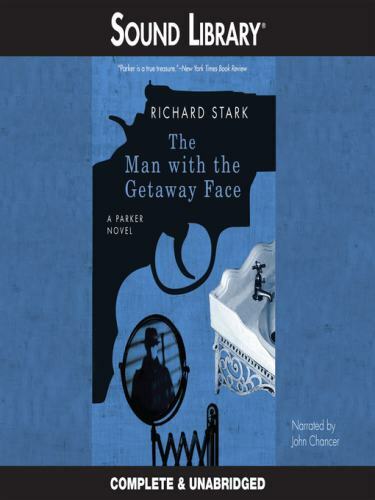 Lauded by critics for his taut realism, unapologetic amorality, and razor-sharp prose-style, Stark is a master of crime writing, his books as influential as any in the genre. 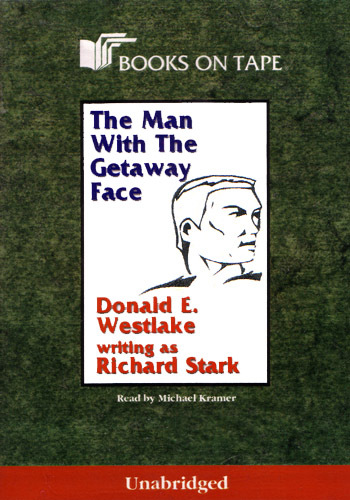 Parker goes under the knife in The Man With The Getaway Face, changing his face to escape the mob and a contract on his life. Along the way he scores his biggest heist yet: an armored car in New Jersey, stuffed with cash. The Outfit was organized crime with a capital O. They were big. They were bad. They were brutal. And no crook ever crossed them and lived to enjoy it. Except Parker. So they wanted Parker dead, and a hit man proved they meant business. Too bad for the Outfit he missed. Ripping off the Outfit was the easy part of Parker’s game. Going one-on-one with Bronson, the Outfit’s Big Boss, was the hard part. The heist was a piece of cake. It didn’t bother Parker that the priceless statue was in a Russian diplomat’s house…because he had no scruples about ripping off a Red. It didn’t bother Parker that his ex-girlfriend had blackmailed him into pulling this job…because he figured out how to make an extra fifty grand on the deal. It did bother Parker that somebody else was trying to steal the statue first — because being second wasn’t Parker’s style. Whether he was up against the mob or the KGB, Parker intended to beat them all at the stealing game. Of course, he didn’t count on a double cross, a two-timing blonde, and one lethal luger aimed at making him not only second, but last. Dead last. Here’s Parker—planning to steal the entire payroll of an Air Force base in upstate New York, with help from Marty Fusco, fresh out of the pen, and a smart aleck finance clerk named Devers. Holed up with family in a scrappy little town, the heisters prepare for the risky job by trying to shorten the odds. 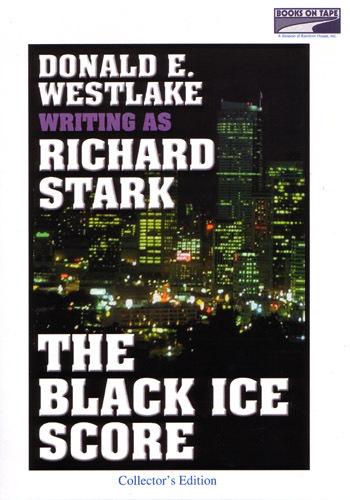 But the ice is thinner than Parker likes to think—and Marty’s ex-wife is much more complicated. The good guys in a new African nation were missing a treasury full of diamonds. The nation’s corrupt leader had stashed the rocks somewhere in New York City. Now the good guys needed a specialist to get their diamonds back. So they came to the best in the business: Parker. Only the three mysterious tough guys came to Parker, too. They figured three hands filled with .38s could convince him to pass up this international gem game. But leaning on Parker was like pressuring a box of TNT with a short fuse.